I blame clever marketing and commercials for this one. The girls want them soooo bad. And they are kinda cute- and they are made of like, a resin-type-stuff? 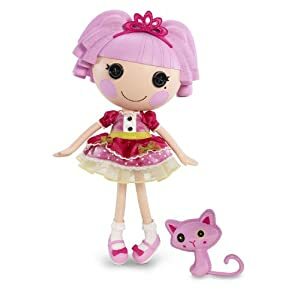 Perfect for the girls who are prone to needing their dolls cleaned with Clorox wipes. This one is really something I want to play with. 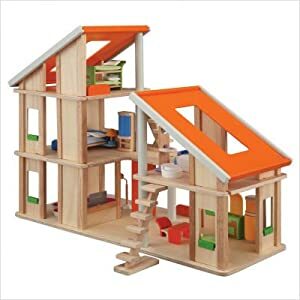 (that, and every girl needs a dollhouse, right?! It's childhood 101) Just look at those clean lines! Feast on the modern furniture! The Husband would die if he saw the price. I'm still trying to justify that myself. Unfortunately, the baby is totally getting gypped this year. We have SO MANY toys from the girls. I just can't stuff any more baby toys into this house! So we're wrapping up some of the toys we've kept in the closet for him to "open." C'mon- he's not even one! He just wants to rip some paper. I did pick this up for him to unwrap at his birthday party, though. So I'm not a total loser-mommy. I picked up this sweet baby last week. (hurry and snag one for yourself! They're discontinuing them!) SUPER BOWL! MERRY CHRISTMAS TO ME! 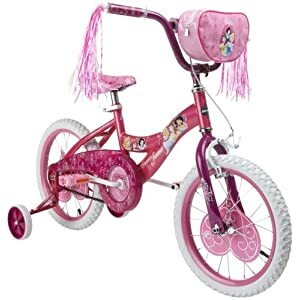 When we got Samarrah a bike I did not want to get her a disney one so we went to Toys R Us and got her a really pretty purple one, they have a good selection.